Herbs are the oldest natural medicines on the planet. They are mentioned in scriptural texts, including the Bible as being the safest natural way to treat disease. We are attracted to the use of herbs because of the safety and minimal risk of side effects. Drugs are poor substitutes for plants. They may be helpful for short term or acute conditions, but their long-term action often depletes the primary life force because of their inorganic nature. Reliance on chemical medicine contributes to a culture disconnected from our innate love of nature. Herbal medicine, therefore, relates to larger spiritual and political issues. If we do not reestablish our connection with the universe and natural healing, we may not be likely to survive as a species. 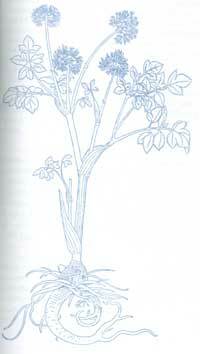 My concern as an herbalist is not merely technical or medical, but planetary and humanistic. I prefer the use of herbal medications because I feel how it affirms our connectedness with living nature. Further, I can see in my sixteen years of clinical experience how they create and facilitate the basis of evolution of humankind on all levels. What is the basis of the effectiveness of herbs? Because they are “special foods.” They are best able to help restore physiological and energetic balance in many instances herbal medicine can offer relief and treatment of imbalances, for which modern scientific drug medicine has no satisfactory treatment, ranging from the common cold to cancer. I see in my clinical practice how important it is to learn how to incorporate herbs with their special concentrated nutritional energies into daily health regimes. Unlike other kinds of health supplements, herbs work by stimulating and energizing innate physiological energetic processes. They are said to have “Amphoteric” properties, meaning that they tend to regulate rather than simply increasing or decreasing vital processes. It is also important to note that with medical herbology mostly causes rather than mere symptoms are treated and thus the herbal formulas can be combined well so, used to enhance other modifies such as acupuncture, massage, etc. Based on clinical results, I attempt in the New Dimensions clinic to integrate herbal systems from around the globe. Global herbalism in the herbalism of the New Millennium. Currently we stock herbal formulas for health maintenance, as well as for short-term use from about twenty different suppliers, most of which are by prescription only. We are working with a wide selection of Chinese, Ayurvedic and Western herbal formulas. Lately we have added Pleomorphic herbal medicines from Germany to the pharmacy and specific Nutraceuticals because of their great results.